New York Times-bestselling author Malcolm Gladwell traces his path to landing a job at ‘The New Yorker,’ and reveals who he thinks are more talented than the magazine’s writers. 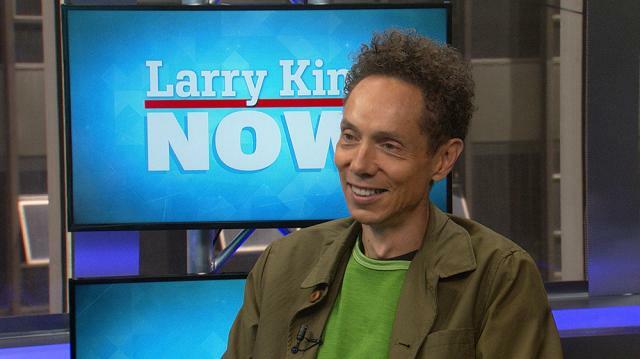 Malcolm Gladwell on Donald Trump: He's "unfactcheckable"
Larry: What took you to the New Yorker? Malcolm: I moved from the Washington Post to do... I became the New York bureau chief in here in New York and then I didn't want to go back to Washington. So I cast around for things to keep me in New York and I had started doing some freelancing for The New Yorker and so I finagled my way to getting a job with them. Larry: Is that a very demanding place? Larry: The fact checks are incr - they did a story on me and they fact-checked it with the world. Malcolm: Yes, yeah the fact checkers are invariably smarter than the writer, work harder than the writer, and learn much more about the subject than the writer does. It is a demanding place. And the quality of, the quality of the editing you get at The New Yorker is unlike the edit quality of the editing anywhere else. I mean it's in a, it's in a whole different stratosphere.